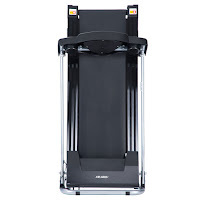 Stay in shape in the comfort of your own home with the Merax JK1603E Folding Electric Treadmill. The Merax JK1603E is a low-priced compact-sized treadmill that won’t take up too much space in your home and is suitable for light-to-moderate use. You can even fold the deck up and roll it away on its transport wheels for easy storage when not in use. The entry-level Merax JK1603E Electric Treadmill can be plugged into a standard household socket and utilizes a 500w motor which offers speeds from 1 km/h up to 10 km/h. For additional challenge, you can manually adjust the incline (3 incline positions) to give yourself more of an intensive workout. 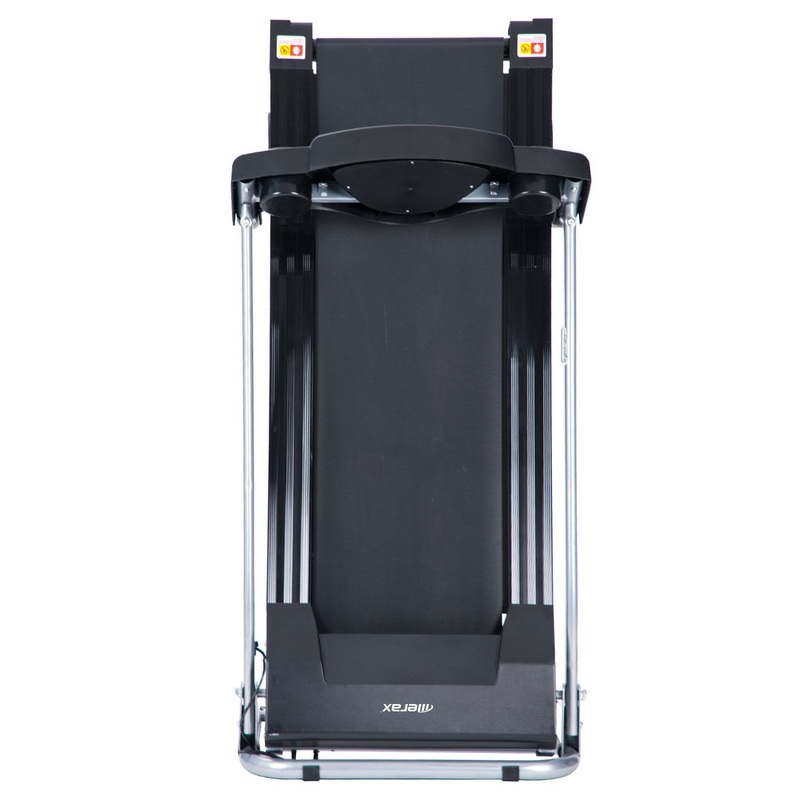 The Merax JK1603E Treadmill has a cushioned running deck for less impact on your ankle, knees and back muscles. The running deck surface measures 14” wide by 44” long. 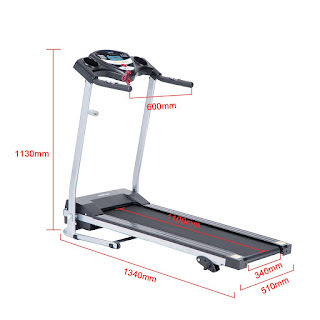 This treadmill is suitable for walking, jogging and light running. 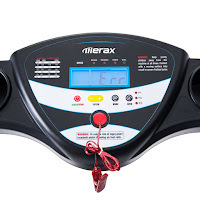 The Merax JK1603E Treadmill comes with a straightforward and easy-to-use console that offers 3 built-in programs for interval training and manual control. The pre-set programs alternate between high and low intensity recovery periods to help improve your aerobic capacity and continue to burn calories even after your workout has finished. The Merax JK1603E’s LCD screen displays motivating workout stats as you exercise so you can monitor your time, distance, speed, calories burned and heart-rate. Your heart-rate is measured via pulse grip sensors built-into the treadmill’s handlebars. Additional features of the Merax JK1603E Treadmill includes 2 cup-holders so you can keep hydrated as you exercise, and an emergency stop key for safety. 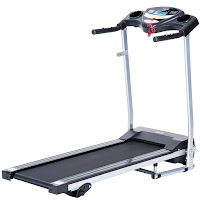 This treadmill allows for a maximum user weight capacity of up to 220 lbs. 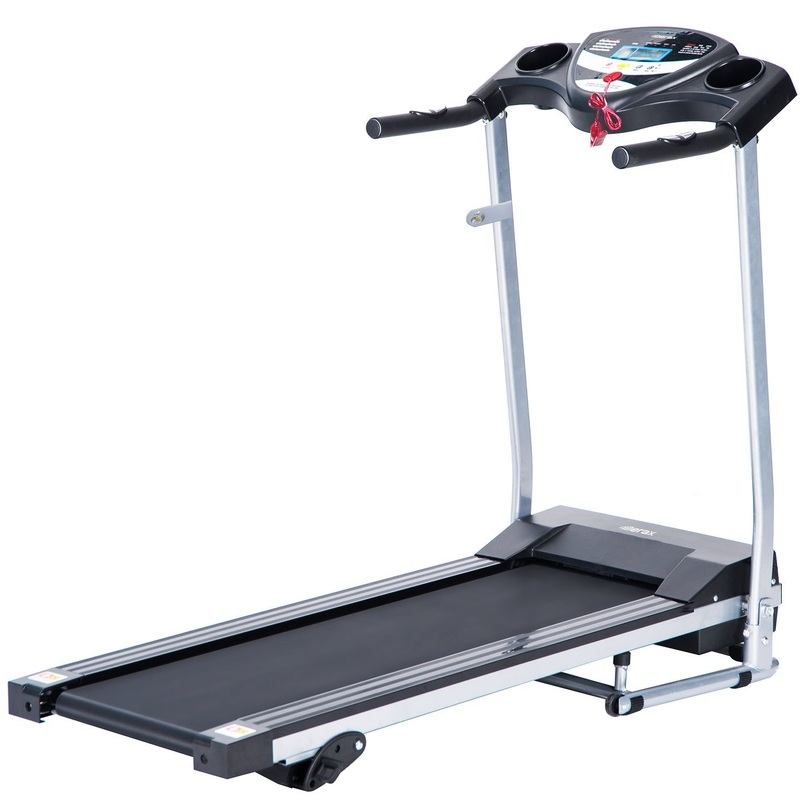 · Regular maintenance and minor adjustments will help to prolong the life of your treadmill. Avoid over-tightening the running surface, but if it becomes loose then small adjustments such as ¼ or ½ turns are recommended to tighten it. Turn clockwise to tighten it or anti-clockwise to loosen it. Turn both sides evenly for general tightening/loosening. If the running surface moves to one side, tighten that loose side.